When given the proper tools and environment, the body has the innate ability to heal itself. This is the philosophy behind holistic medicine. 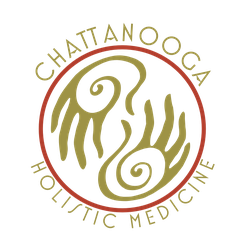 Here at Chattanooga Holistic Medicine we look at each patient's health from a comprehensive point of view. We don't just treat the symptoms of disease, but address their underlying cause, allowing our patients to achieve optimal health naturally. We believe in integrating Western and Eastern medicine to provide patients with superior care and useful answers. We utilize traditional Chinese medicine, acupuncture, Chinese herbs, functional medicine, diet and nutrition counseling, exercise, yoga and qigong techniques, creating treatment plans as unique as our patients. Here at Chattanooga Holistic Medicine, we use therapeutic approaches proven to be clinically effective so you don't waste time and money waiting for results. The scope of holistic medicine encompasses a wide range of disease and conditions and is also an effective method to prevent future problems down the road. If you are unsure if holistic medicine is for you, please give us a call or send us an email to set up a complimentary consultation.